Housekeeping and front offices at hotels around Cambodia are set to change as the country prepares to adopt regional standards that all ASEAN nations are trying to put in place. The draft document on housekeeping and front-office standards, and related training courses, had been finalised by Tourism Ministry officials, Try Chhiv, director of the National Committee for Tourism Professionals, said. The committee would wait until July, when ASEAN officials send copies of ASEAN’s standard documents, in order to ensure uniformity, he said. The documents, implemented by trainers, trainees and employers, would become the standard for evaluating professional staff, Try Chhiv said yesterday. Tourism Minister Thong Khon said the preparation of services in compliance with ASEAN standards was crucial for Cambodian tourism. “I want Cambodia to go along with ASEAN,” he said. Thong Khon said Cambodia did not yet have state-run professional schools for training, but staff were trained by private-sector partners. 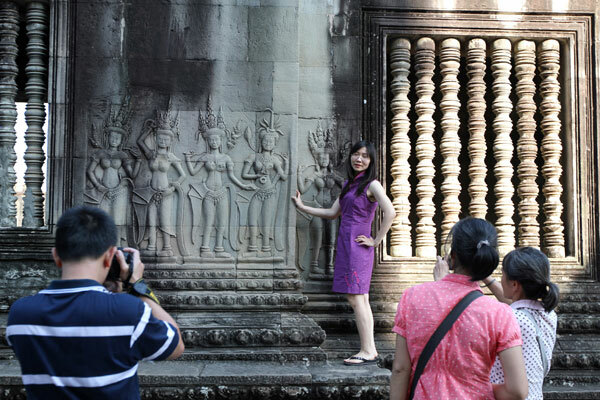 Cambodia’s tourism sector employed about 400,000 people and would need twice that number by 2020, Ang Kim Eang, president of the Cambodia Association of Travel Agents, said.